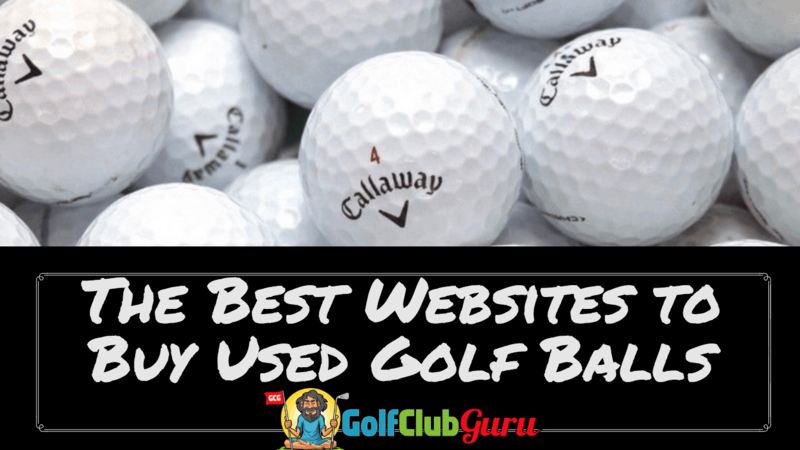 There are lots of sites that claim to be the best to buy used golf balls. I’ve tried lots of them. I’ve bought “AAAA” golf balls that turned out to be what I would call AAA. And then, with a couple wonderful companies, I’ve bought “AAAA” golf balls and ended up with what looked like brand new golf balls. On top of that, they were cheaper compared to the companies that gave me AAA golf balls! Alright let’s cut to the chase, I’ll let you what what the best websites are for buying used golf balls. Have you had any experiences with companies below? If so, leave a comment at the bottom of this article! Lost Golf Balls is an absolute gem. They provide the best golf balls at the best price compared to other used golf ball companies. On top of that, they have the best customer service. They also provide lots of different flash deals, especially during big PGA tour golf tournaments. I would always wait for one of their 20%-25% off sales on everything before purchasing. As a new customer, you can typically grab a big discount as well, just use the code they list on their website. My order typically is composed of about 10-20 dozen balls. I stock up on some great, slightly used Titleist Pro V1 and Pro V1x’s. I use some and sell the rest to my friend when possible. When I first received my golf balls, I honestly thought they gave me the AAAAA brand new golf balls on accident. The balls from LostGolfBalls all came in sturdy purple bags, each strong enough to hold many dozen at a time. There were some markings on the AAAA balls, as expected, but other than that they looked phenomenal. They 100% have me as a customer for life, and I couldn’t be happier that I found them. Amazon surprisingly has some great used golf ball deals. If you already have a cart full of stuff, you might as well add golf balls to that list and call it day. No need to sign up for lots of different golf websites and put in all of your billing and shipping address again. If you are a fan of various different Callaway models (Hex, SuperSoft, Diablo, Hot, etc), then you should try out the 50 Callaway Golf Ball Lot for roughly $0.50/ball. I purchased this lot a couple years back and I was very pleased with the quality. Most Callaway balls are all about the same in my opinion. They are one to two steps below Titleist Pro V1’s, but they are a great value/ budget golf ball for those that don’t need all the spin around the greens. There are lots more 50-100 lots of golf balls that you can check out. I would recommend staying in the AAA-AAAA ranges of golf balls, as they offer the best value. A couple very small blemishes or markings are not going to make a significant impact on golf shots anyway. I would also check out some of their deals on premium golf balls such as Titliest Pro V1x, as they sometimes offer great deals as well. RockBottomGolf.com is one of the best places to buy all types of used golf equipment. 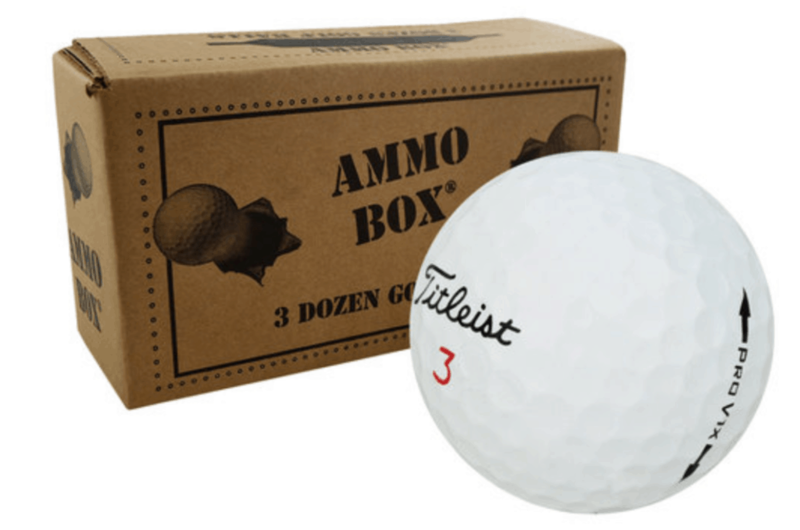 One of the best things about their site is their used golf ball “Ammo Boxes.” They are refinished (basically a thin layer is added to make them look new again, but in most customers’ opinions, they couldn’t notice a difference at all. They offer extremely competitive prices on the top premium balls (Titleist Pro V1’s, TaylorMade Tour Preferred, Bridgestone B330Rx) and have a great reputation due to their customer service. However, if you are looking for used (not refinished balls), I would stick to GolfBallsDirect.com or Amazon.com, as their prices are a bit lower. What i don’t realize is actually how you’re not really much more well-liked than you might be now. You’re so intelligent. You realize thus considerably relating to this subject, produced me personally consider it from numerous varied angles. Its like men and women aren’t fascinated unless it is one thing to do with Lady gaga! Your own stuffs great. Always maintain it up! Hi there, of course this paragraph is actually good and I have learned lot of things from it on the topic of blogging.